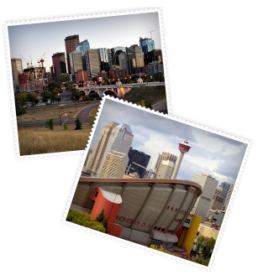 Located in Calgary’s popular inner city, Winston Heights has a highly desirable location just five minutes from the downtown core. The community is also near Kensington, Bridgeland, and the Calgary Elks Golf Club, which gives homeowners unbeatable access to these fantastic amenities. Several parks are located in and near the community, as well as athletic facilities and recreation centres. Winston Heights homes for sale have it all: premium location, diverse real estate options, high quality schools, and a wonderful sense of community. This well-rounded neighbourhood should be considered by both new and experienced home buyers. Learn more about Winston Heights real estate or explore homes for sale below! Winston Heights diverse real estate collection makes the community a great choice for people from all walks of life. Much of the real estate was originally built in the 1950s and 1960s, although newer homes can also be found in the area. Affordable starter homes, including both single-family houses and townhouses, are available in Winston Heights’ older aged homes. In the more upscale price ranges, ranch and two-storey homes are common options. The Winston Heights-Mountview Community Association ensures that the neighbourhood is a consistently pleasant place to live. There’s almost always something happening within the community, and the association’s calendar is often chock full of activities and events catering to all age groups. Winston Heights is a must see for all buyers who want a fantastic location with numerous amenities. It’s easy to live an active and fulfilling lifestyle within the community and maintain a high quality of life. The Calgary Real Estate Advantage team can help you find your dream home in Winston Heights, NW Calgary or beyond! Register with our site or call 403-968-1496 to get started today!